Are you migrating to Chile but your vehicle is too precious to leave behind? Car shipping to Chile is no easy feat. A team of specialist car shippers is required to ensure the job is completed to utmost satisfaction and your prized possession arrives in Chile unscathed; this is where Anglo Pacific can help. Since 1978, Anglo Pacific has led the way for importing cars to Chile and other worldwide destinations. Our Chile car shipping teams know the process like the back of their hand, allowing us to send cars, motorbikes, motorhomes, caravans and boats with the full trust of our customers. The success of our car shipping to Chile would not be possible without the calibre of our staff, who go above and beyond to guarantee it all runs smoothly when you ship a car to Chile with Anglo Pacific. Shipping a car to Chile can be a daunting experience for the vehicle owner, but also for any inexperienced car shipping companies, which is why it is crucial to choose your international vehicle shippers wisely. Anglo Pacific has had four decades of developing our vehicle shipping to Chile services to ensure we deliver a superior, calm and untroubled experience every time, and more importantly, that your vehicle reaches Chile in pristine condition. It all starts with car shipping to Chile quote; what is your vehicle model, how big is it and do you want to send your vehicle to Chile alongside household or personal goods? We have the skills and expertise to prepare your car thoroughly and assure unsurpassable protection during its journey to Chile. Through four decades of importing cars to Chile, we have gained experience in shipping all vehicle sizes and models. Vehicles that we commonly ship to Chile are cars, classic cars, motorbikes and motorhomes, but whatever vehicle you want to send to Chile, we are positive we can help. Please contact our team with your queries. Your vehicle is taken care of to the highest degree on its journey to Chile. We have competent staff handling your car at all stages including collection, preparation, shipping and delivery. When you ship a car to Chile with Anglo Pacific, you can be confident that our teams minimise opportunities for damage, theft and loss. 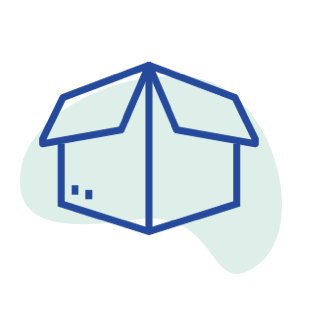 Our 360° shipping means you don’t have to worry about finding another shipping company to move your household and personal items; we’re an all-rounder shipping company that ships those too! There is nothing worse than receiving a quote, paying for a service and being stung by additional costs once the work has begun. Anglo Pacific believe in providing fair and accurate car shipping to Chile quotes, so we include all of the finer details associated with vehicle shipping. Book your online quote today and a specialist move consultant will provide you will a fully comprehensive quote for importing a vehicle to Chile. You want to make sure your vehicle is in the hands of a reliable car shipping company. Anglo Pacific is accredited by worldwide organisations to give you peace of mind when using our services to ship a car from the UK to Chile. We are a FIDI Accredited International Mover, proud members of the British Association of Removers (BAR), and bound by BAR Advance Payment Guarantee Scheme for your financial security. Groupage shipping, also known as less container load, is the process of importing a car to Chile inside of a shared shipping container alongside the vehicles of other customers. If you are looking for a moderately priced way to ship a car to Chile, groupage is the solution for you. However, sending a vehicle via groupage is only possible if your vehicle doesn’t necessitate its own container; examples of compatible vehicles are motorbikes, small or medium-sized cars. Full container load is shipping a car from the UK to Chile in a 20ft or 40ft shipping container, intended for the exclusivity of the vehicle owner. FCL vehicle shipping to Chile is highly recommended for vintage and classic cars, or for customers also wanting to ship household and personal goods to Chile. Sending a vehicle to Chile in a 20ft shipping container leaves sufficient space for moving boxes and tea cartons of personal possessions to be shipped alongside your car. However, if you are looking to send larger household items such as furniture, or maybe two vehicles, a 40ft shipping container can be provided for a comfortable shipment. The cost of shipping a car to Chile is always calculated fairly, so the question “how much to ship a car to Chile?” changes from customer to customer. We base our car shipping quotes on factors such as the model and size of your vehicle, your chosen shipping method, how far it is being shipped and your chosen delivery method in Chile. Our customisable shipping solutions allow us to cater to all budgets and you can choose the transport method that you believe is best for the vehicle in question. We have experience in shipping cars to Chile using groupage, full container load, or using RO-RO. You can find more information about our shipping methods through your move consultant. Groupage is the most budget-friendly option for Chile car shipping. Aside from factors such as the distance of the journey and the chosen delivery method upon arrival in Chile, the cost of shipping a car to Chile via groupage is mainly calculated based on the size of your vehicle. You will share a shipping container with the vehicles of other customers and you will only be charged for the volume of the container that your vehicle uses, meaning the smaller the car… the smaller the costs! Full container load is the most expensive method of shipping a car from the UK to Chile, but it can be the most beneficial if you are shipping a classic car or sending household goods too. This premium service will see your vehicle sent to Chile in its own 20ft or 40ft shipping container, depending on your vehicle size. You will be charged a fixed rate for the container, the 20ft container being the cheaper option, but you can fill the remaining space in the container with personal items at no extra cost. To receive your free online quote to ship a car to Chile, book your remote video survey where a team member will assess your shipment and provide you with a no-obligation estimate, online.